Using OpenRefine for Cleaning Up Spreadsheet Data!!! We have joined with the Engineering Technology Centers to present a new series of classes!! The Learn & Create Xpress Classes will cover a variety of topics and are scheduled for Thursday afternoons at 2:00 p.m. in the Engineering Library Creative Space. The classes are half an hour long and are limited to 20 participants. Click on the link to register! They are also FREE!! This Thursday, April 12, 2018, the class is Using OpenRefine for Cleaning Up Spreadsheet Data! OpenRefine is a free tool for reviewing and cleaning up spreadsheet or tabular data. Save yourself a lot of time by using OpenRefine to identify and fix problems in your tabular data. Automated functions easily and quickly handle common problems, such as splitting cells that contain multiple data values, detecting duplicates and typos, standardizing date formats, and trimming extra spaces from cells. OpenRefine also keeps track of all your steps, so you can easily reuse them or undo them if necessary. Brian Westra from Hardin Library for the Health Sciences is the presenter! 4/19/2018: 2D & Vector Design with CorelDRAW. CorelDRAW is a vector graphics editor and image-editing software package. Learn about power that CorelDRAW gives you to create digital art! Presenters: John Kostman & Diem Nguyen, Engineering Electronic Shop. Xpress classes are limited to 20 participants – and they are filling up! 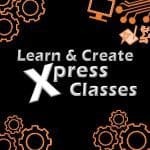 To register for each class head to the Learn & Create Xpress Classes webpage! Each class has a registration link and the option of being put on a wait list if the class is already full! Don’t miss out on learning about OpenRefine – sign up now! This Thursday, April 5, 2018, the class is Camtasia & Video Creation! You’ll learn to create and edit video tutorials via screencast using the Camtasia software suite! PC World calls Camtasa a “full-featured education/information video tool.” John Kostman from the Engineering Electronic Shop is the presenter. 4/12/2018: Managing Data with OpenRefine. Presenter: Brian Westra, Hardin Library for the Health Sciences. Each of these classes are limited to 20 participants – and they are filling up! To register for each class head to the Learn & Create Xpress Classes webpage! Each class has a registration link and the option of being put on a wait list if the class is already full! Don’t miss out on learning about the Camtasia software suite – sign up now! This Thursday, February 22, 2018, the class is Patents & Standards! The University of Iowa Libraries provides electronic access to several sources of patents and standards from around the world. Kari Kozak, Lichtenberger Engineering Library, will present the various resources that can be accessed on and off campus. Each Learn & Create class is limited to 20 participants – and they fill up fast! 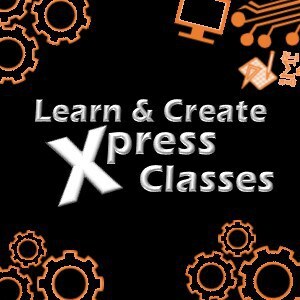 To register for each class head to the Learn & Create Xpress Classes webpage! Each class has a registration link and the option of being put on a wait list if the class is already full! 3/1/2018: Multimeter Basics: The multimeter is a tool used for measuring voltage, current, and resistance. We have one here in the Tool Library and it is available for you to check out. Diem Nguyen, Engineering Electronic Shop, will help you learn to troubleshoot electrical problems! 3/8/2018: Collect & Analyze Data Using LabQuest Devices. The Tool Library includes LabQuest Devices and a wide range of sensors to use with the LabQuest. These LabQuest devices allow for collecting and analyzing data – with a nearly endless number of possibilities! This course, presented by John Kostman, Engineering Electronic Shop, will provide an overview of what the Tool Library has and instruction on how to use it. 3/22/2018: MATLAB. MATLAB combines a desktop environment tuned for iterative analysis and design processes with a programming language that expresses matrix and array mathematics directly. Learn what is possible with this software! This class will be presented by Mitchell Moeller. 3/29/2018: Creating a Poster for Presentation. Presenter: Scott Coffel, Hanson Center for Technical Communication. Don’t miss out on these free and informative classes – sign up now! This Thursday, February 15, 2018, Diem Nguyen and John Kostman from the Engineering Electronic Shop, will be presenting Oscilloscope Basics. An oscilloscope allows for the observation of varying signal voltages. We have one available to check out in our Tool Library! 2/22/2018: Patents & Standards: The University of Iowa Libraries provides electronic access to several sources of patents and standards from around the world. Kari Kozak, Lichtenberger Engineering Library, will present the various resources that can be accessed on and off campus. Creating Citations with EndNote – Learn & Create Xpress Class! We have joined with the Engineering Technology Centers to present a new series of classes!! The Learn & Create Xpress Classes will cover a variety of topics and are scheduled for Thursday afternoons at 2:00 p.m. in the Engineering Library Creative Space. The classes are half an hour long and are limited to 20 participants. Click on the link to register! This Thursday, Feb. 8, 2018, Marina Zhang, Engineering & Informatics Librarian, will be presenting Creating Citations with EndNote. EndNote is a bibliographic management tool for collecting, organizing, sharing, and formatting citations. It is citation management software which allows you to import, organize, and format citations for your papers and articles! Sign up now – registration is limited and you don’t want to miss this class! This is information you will use throughout your academic career! 2/15/2018: Oscilloscope Basics. An oscilloscope allows for the observation of varying signal voltages. We have one available to check out in our Tool Library. Diem Nguyen and John Kostman from the Engineering Electronic Shop will be the presenters. New Learn & Create Xpress Classes!!! This week, 2/1/2018, Cliff Curry from the Engineering Electronic Shop will be presenting Printing Circuit Boards: Testing (Part 2). This session is a follow-up to last week’s session and will go into detail about special problems and challenges for circuit boards, including testing. 2/8/2018: Creating Citations with EndNote. Marina Zhang from the Lichtenberger Engineering Library will be presenting on how you can use EndNote in your next paper or project. EndNote is a bibliographic management tool for collecting, organizing, sharing, and formatting citations.